The Islamic State militant group's self-proclaimed "caliphate" is far from dead but back-to-back losses in Syria and Iraq have turned a series of setbacks for the Islamist militants into a losing streak. ISIS's seizure of Ramadi in Iraq in May along with Palmyra in Syria sent the alarming signal that it could still expand a year after seizing swathes of the two countries. It has since retreated however, and recently losses have come in quick succession: Baiji, Sinjar and now Ramadi -- all in Iraq -- as well as a key dam on the Euphrates in Syria. "Controlling and governing population centres and key infrastructure is important to the group's claim to statehood, and these losses chip away at the credibility of that claim," Firas Abi Ali, Middle East analyst at research firm IHS. The capture of the Tishreen dam from ISIS by a Kurdish-led alliance will strip the Islamist militants of a source of revenue and put pressure on other areas such as Minbij, northeast of Aleppo. The victory in Ramadi, which was sealed on Monday when Iraqi forces raised the national flag above the flashpoint government complex, was less strategic than symbolic, analysts said. Patrick Martin, Iraq analyst at the Institute for the Study of War, said the Ramadi win was the reversal of an earlier loss and would fall short of seriously crippling ISIS in the area. "ISIS (IS) remains capable of launching attacks across Iraq without Ramadi, which is more significant for the Iraqi security forces and the Iraqi government than it ever was for ISIS," he said. A senior officer in the counter-terrorism service that spearheaded the fighting in Ramadi told AFP that ISIS had driven many of its vehicles and weapons out of the city before the battle began. Winning battles and gaining territory, regardless of their tactical significance, is important for morale, said Patrick Skinner of the US-based Soufan Group intelligence consultancy. "Losing matters. And while the cyber battle is relatively important, the actual physical battle is paramount in the short term," he said. Skinner argued that even ISIS supremo Abu Bakr al-Baghdadi's latest audio message, last week, sounded "less triumphant" than usual. That view was shared by Abi Ali, who saw Baghdadi's threatening of Jews and Israel as a "great indicator of the trouble Islamic State is in". "The popularity of anti-Israel rhetoric in the region makes dictators believe that the theme is a guaranteed crowd-pleaser, and so they turn to it to distract from other problems they face," he said. The US-led coalition announced Tuesday that its air strikes had killed 10 "leadership figures" in ISIS in December alone, including two militants linked to the November Paris attacks. Beyond the mere scorekeeping of wins and losses, analysts also focused on the significance of the new combinations of forces that are waging the anti-ISIS war. In Sinjar, rival Kurdish factions got together, with aerial support from the US-led coalition, to retake the city. In northern Syria, Kurdish forces leading an alliance with Sunni Arab fighters have scored gains. And in Ramadi, federal forces entered the city centre and retook it without the involvement of the Tehran-backed Shia militias that had played a key part in earlier successes. "In Iraq, the restored capability of the Iraqi forces is very important and is likely to be a model for future offensives," said Abi Ali. According to Skinner, the "methodical taking of Ramadi, with US air cover limiting the movement and fortifications of ISIS in the urban areas, proved to be very effective. It will likely be replicated again in Fallujah." Iraqi Prime Minister Haider al-Abadi vowed Monday that all remaining ISIS-held areas in the country would be retaken by the end of 2016, including second city Mosul. In Syria, Abi Ali said it would become more difficult for Kurdish forces to gain ground as they advance towards the ISIS bastion of Raqa and move farther away from Kurdish land. "Greater involvement by Sunni Arabs is needed before the forces fighting Islamic State develop the capability to take, hold and police predominantly Sunni Arab territories from the group," he said. As the heart of the caliphate Baghdadi proclaimed 18 months ago shrinks, Abi Ali predicted ISIS would likely see oil-rich Libya as a "plan B" and expand there in the coming year. "Moreover, the ideologies of jihadism and of political Islam are alive and well. 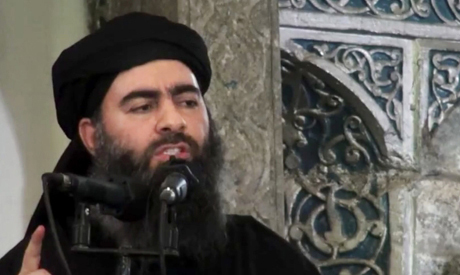 It is far too soon to write off Islamic State and organisations similar to it," he said.